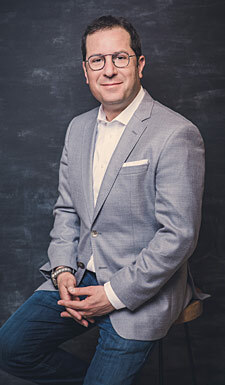 Jonathan Shore - Lighthouse Pictures Inc.
Jonathan Shore has been an integral part of Lighthouse since its inception helping pave relationships with partners like TNT, Great Point Media, A&E Lifetime and Hallmark/Crown Media, to name a few. Jonathan has been involved in more than 200 film and TV projects; recent credits include co-producer on Marc Forster’s All I See Is You, associate producer on Pitch Perfect 1 and 2, My Big Fat Greek Wedding 2, and the animated film My Little Pony: the Feature. Shore has worked with top Directors including Joel Schumacher, Robert Redford, Elizabeth Banks and actors Sir Ben Kingsley, Diane Keaton, Michael Keaton, Morgan Freeman and many others. As a leader in the field, Jonathan is a knowledgeable speaker of post production and distribution. Shore is a founding board member of the Vancouver Post Alliance, as well as a supporter of the Whistler Film Festival and a mentor to many young filmmakers. Originally from Montreal, Shore graduated from McGill University. He now lives in Vancouver with his wife and two daughters.